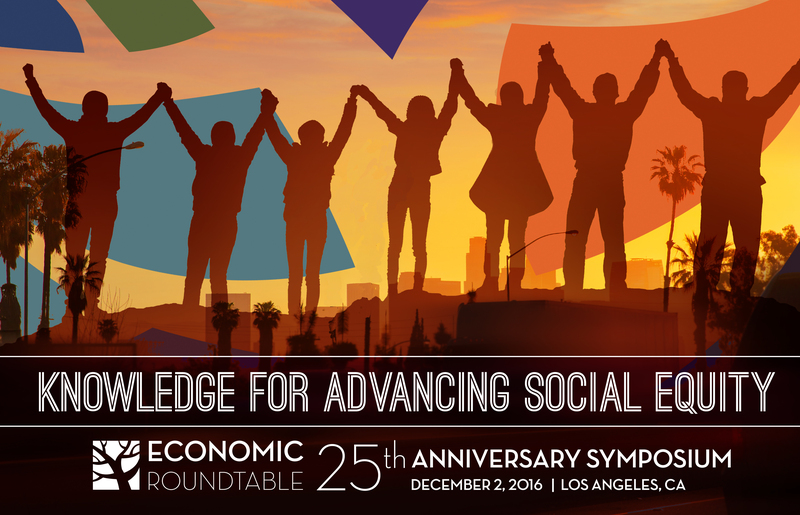 The Economic Roundtable is celebrating its 25th anniversary with a symposium on evidence based policies for social equity. Save the date: Friday, December 2, 2016. Social justice leaders and researchers explore what we know, what we should act on, and what we need to learn. The symposium will take stock of social equity progress and look ahead at what we need to understand and act on to create a truly sustainable community. The location is downtown Los Angeles at the California Endowment Conference Center.